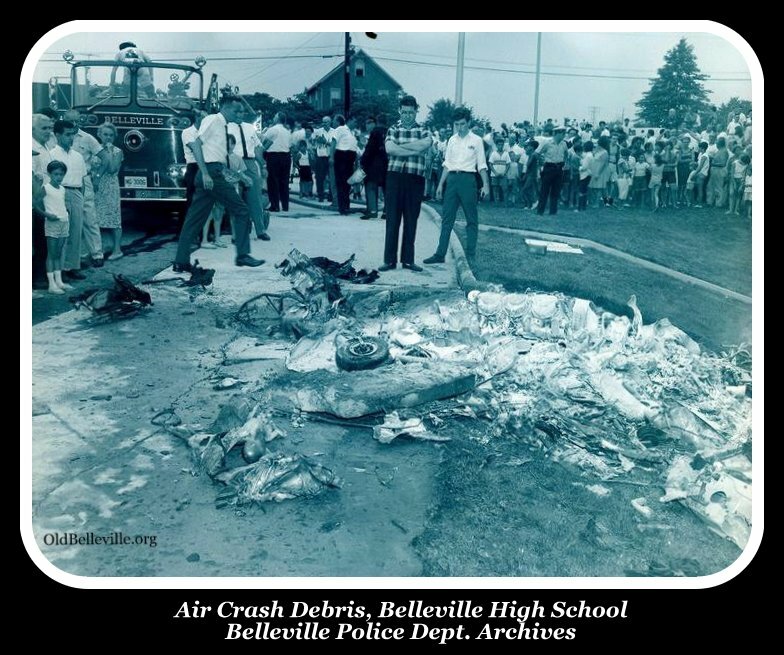 BELLEVILLE, N.J. (AP) -- The pilot of a small private plane was killed Friday, July 21, 1967, when his craft crashed and burned in a playing field behind a high school. Police in this Newark suburb identified the pilot as Thomas R. McCarthy of Rochester, N.Y. They said his body was found floating face down in a swimming pool in the backyard of a home across Passaic Avenue from the school. 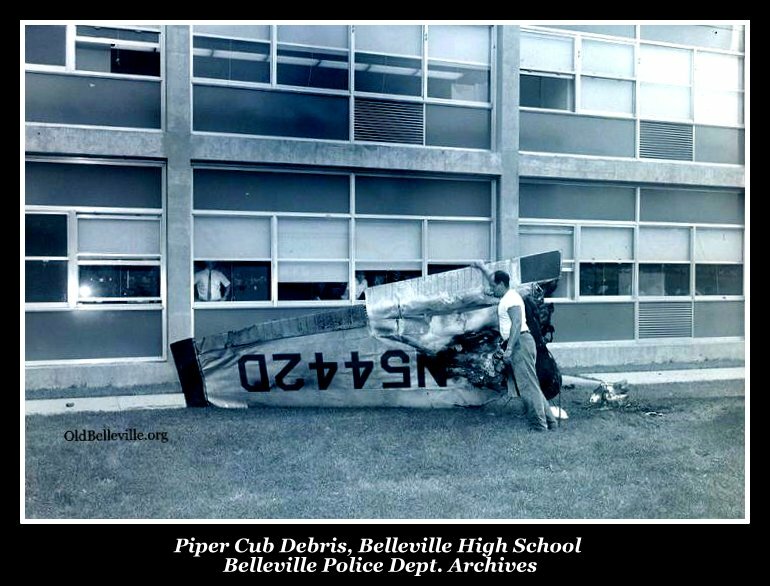 Police say there may have been an explosion aboard the plane, described as a Bonanza 240, as pieces of the craft were scattered over a wide area around the school. 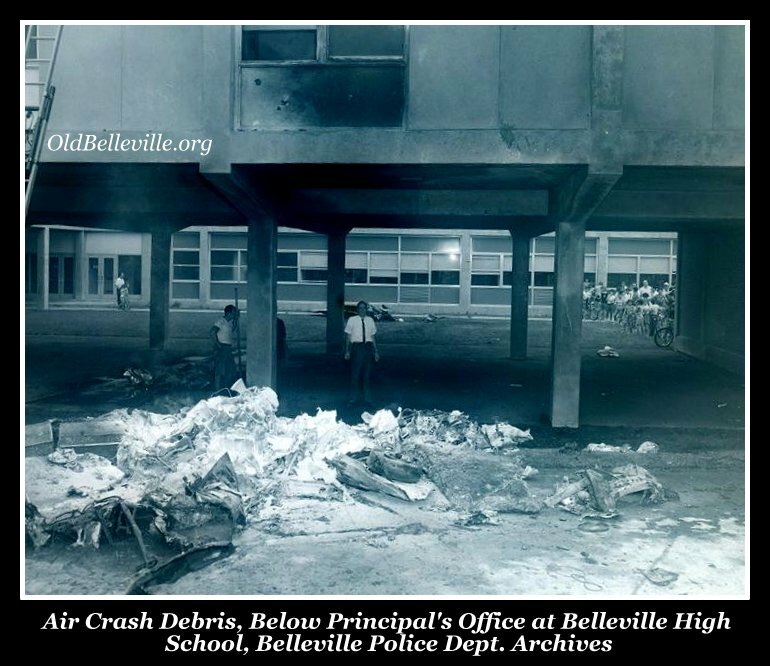 A witness, John Bocchino, of Belleville, said the plane exploded and parts of it showered to the ground before the plane crashed and burst into flames on the field. 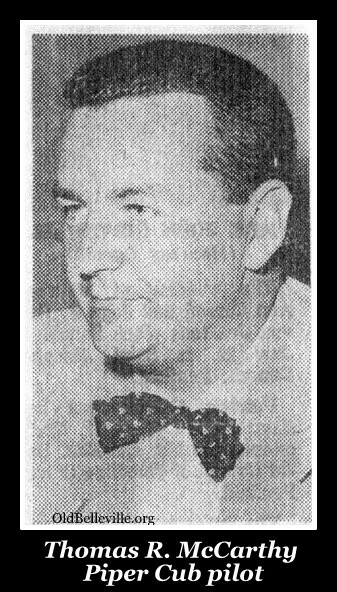 Mr. McCarthy was president of the Alling Co. of Rochester. -- Source: The Post-Standard, Syracuse, NY Saturday, July 22, 1967.